The QRA-08 3/8''-24 Apex Brand Female Threaded Drive Bit Holder, Quick Releasing Chuck is one of thousands of quality tooling products available from MRO Tools. 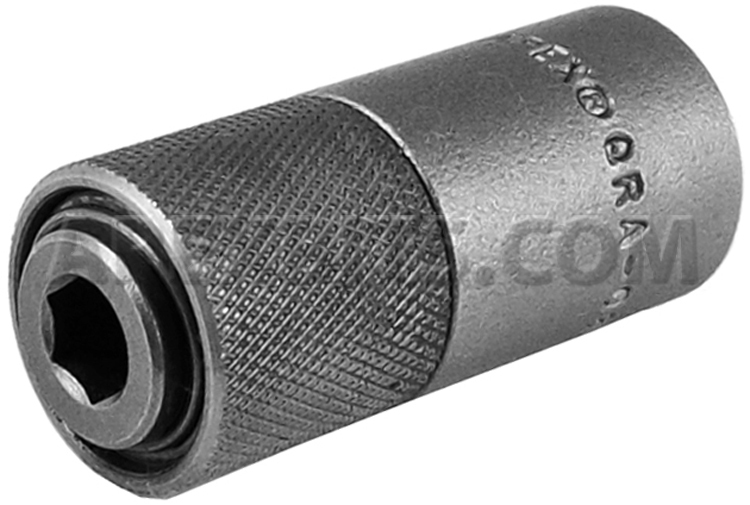 Please browse Apex Threaded Drive Quick Release Bit Holder Chucks for tools similar to the QRA-08 3/8''-24 Apex Brand Female Threaded Drive Bit Holder, Quick Releasing Chuck. QRA-08 3/8''-24 Apex Brand Female Threaded Drive Bit Holder, Quick Releasing Chuck description summary: Apex brand female threaded drive bit holders, quick releasing chucks. Female Thread: 3/8''-24 Hex Opening Square Drive (in. ): 1/4'' Overall Length (mm): 1 3/4''/ 45mm Overall Diameter (in/mm): 3/4''/ 19mm Opening Depth (in/mm) 61/64''/ 24mm Quantity discounts may be available for the QRA-08 3/8''-24 Apex Brand Female Threaded Drive Bit Holder, Quick Releasing Chuck. Please contact MRO Tools for details.